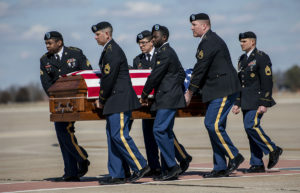 SCOTT AIR FORCE BASE, Ill. — Team Scott honored U.S. Army Sgt. 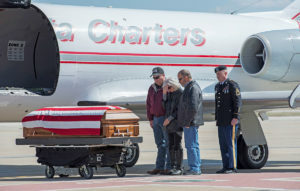 Holli Bolinski, who was killed on March 5, 2019 while deployed to Kuwait, with a dignified transfer, March 18, 2019. After her family had a moment to say goodbye, members of the Patriot Guard Riders escorted Bolinski’s motorcade across the base and to her final resting place in Pinckeyville, Ill. 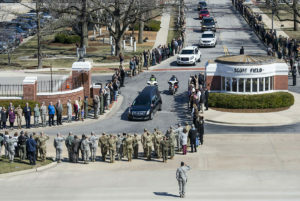 Hundreds of service members and civilians lined the street to pay their respects as the procession made its way down Heritage Drive.